The Drum Package Dispense DAB05-XXXX-X-X introduced by Ingersoll Rand is sealed by aluminum, stainless steel, and polypropylene. It features bolted fasteners used as leak-tight protection with pre-specified, twin materials of construction for accurate fluid compatibility. 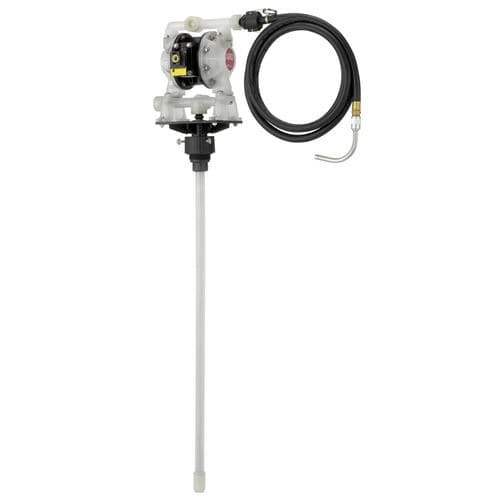 With a patented "Unbalanced" air valve technology that prevents stall-out in low air pressures, this device has a competent dispense drum pump that can transfer chemical elements from any 55-gallon drum to it's finishing location.